Author Rowan Coleman talks about how life has changed since she first wrote “Woman Walks into a Bar” in 2006 for a UK publisher. Now, for the first time, this engaging title is available in the U.S.! Scroll to the bottom of the post to download your copy today! 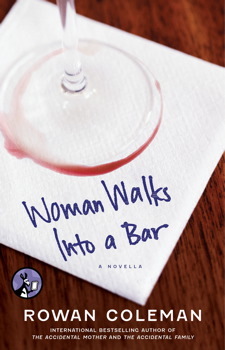 A lot has happened to me as a writer and as a person, since I first wrote ‘Woman Walks into a Bar’ in 2006, and yet it remains a piece of writing that I am very proud of – and is perhaps is more relevant today than it has ever been. 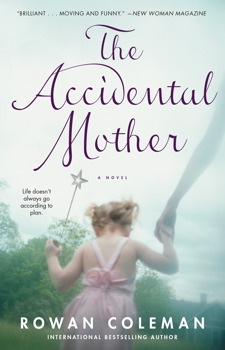 I wrote it around the same time that I wrote ‘The Accidental Mother’ and it was time when I was experimenting with the way that I was writing, and the things that I was writing about. At the time I’d read a lot of novels about very glamorous women, living glamorous lives – lives that for most of us are nothing like…well, you know, real life. Very rarely did you read about a woman with a regular life, or a regular job. So when I created Sam, the heroine of ‘Woman Walks into a Bar’ I was determined to write a woman as ordinary as she could possibly be – an every woman, who worked in a supermarket, who was bringing up a child alone, who’s life was full of uncertainty and regret, but who had the foundation of friendship and family to keep her steady. It started out as a book about online dating, and became a book about something else all together – Sam turned out to be quite a heroine. And one of the bravest, strongest women I have ever written. I don’t want to spoil the plot for you, but the thing about this book that has touched me are the very many letters, emails, Facebook and Twitter messages about it that I have received over the years. Very many of the people that have read this novella have written to me, and told me that it meant something to them. And sometimes they have told me that it has given them a little bit of the courage they needed to start to make positive changes in their life. For any writer, to hear from a reader that they have enjoyed your work is the best part of the job, but to know that maybe, something you have written has helped someone, just a little bit, is perhaps the greatest compliment you can ever receive. One final thought, when I wrote ‘Woman Walks into a Bar’ my daughter was five years old, now she is twelve, just like Sam’s daughter, Beth. And I am happy to report I pretty much got it right when I imagined what it was like to parent a twelve-year old girl. Adorable, precocious and surprisingly wise, when I recently re-read this book, I felt like I’d based Beth on the beautiful daughter I have today. I hope you enjoy ‘Woman Walks into a Bar’ as much as I still do. After all these years, this little book is an old friend to me, perhaps it will become a new friend to you. Sophie and Carrie were childhood best friends, but in the last few years they've lost touch. While Carrie chose motherhood in a small town, Sophie is powering up the London career track. She's a corporate manager poised for her next promotion. And then Sophie is told that Carrie has died, with nobody left to care for her two daughters, Bella and Izzy, aged six and three. Sophie once promised Carrie she would take care of her children if the worst ever happened...and now that day has come.